Europe has taken its first shot at the United States over new tariffs on steel and aluminum imports. European Union officials lodged a formal complaint with the World Trade Organization (WTO) on Friday, the first in a series of measures designed to hit back at the United States. Tariffs will be next. The European Union plans to slap tariffs of 25% on roughly 200 American products, including orange juice, as soon as June 20. US denim, bourbon, motorcycles, peanut butter, motor boats and cigarettes are also in the firing line. 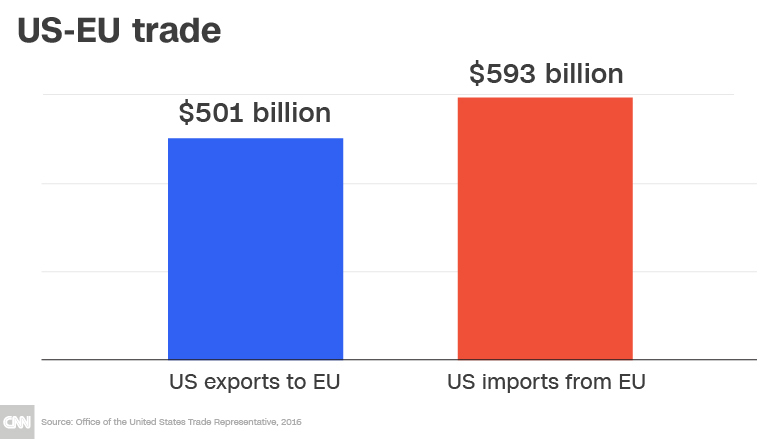 The American exports targeted in the initial wave of EU retaliatory tariffs are worth roughly €2.8 billion ($3.3 billion) annually, according to EU officials. The United States on Friday imposed tariffs on steel and aluminum from the European Union, Canada and Mexico, a move that the Trump administration has justified on national security grounds. EU trade commissioner Cecilia Malmström has called the approach "pure protectionism," and described it as illegal under WTO trading rules. 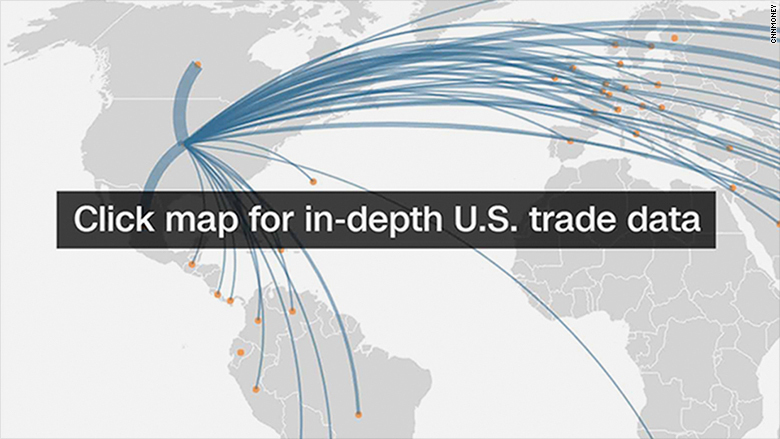 A second batch of American exports worth around €3.7 billion ($4.3 billion) a year could eventually be targeted. The list includes roughly 160 products such as US sunbeds, paper towels, corduroy pants and porcelain tableware that could face EU tariffs between 10% to 50%. The products would be hit if the WTO rules that the US steel and aluminum tariffs are illegal. If the WTO has not issued a ruling within three years, the tariffs could be implemented unilaterally. EU officials say the total value of goods targeted is a dollar for dollar response to US tariffs. 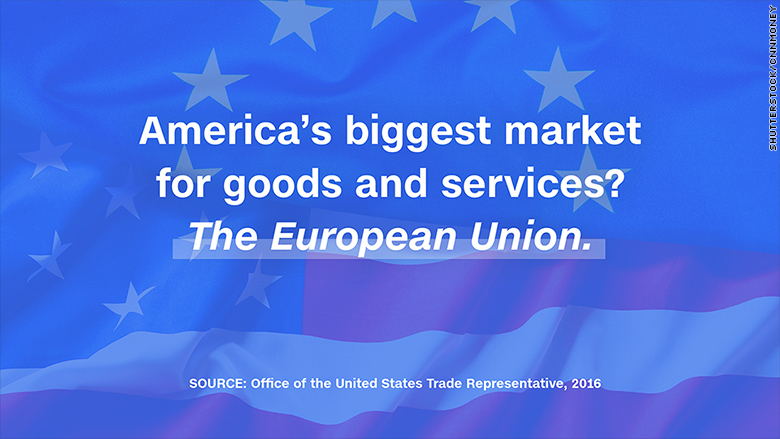 The stakes in a trade war are high: The United States and European Union trade just over €1 trillion ($1.2 trillion) in goods and services each year. Industry experts have warned that EU retaliation could encourage the Trump administration to strike back with more trade barriers on items like European cars. That could spark another round of escalation. "The US is playing a dangerous game," Malmström told reporters." We are not seeking to escalate the situation. But we need to respond." US Commerce Secretary Wilbur Ross said last month that following a conversation with President Donald Trump, he was launching an investigation into whether automobile imports are hurting US national security. It's the same approach the Trump administration used before it slapped tariffs on steel and aluminum imports. "We follow this with a lot of anxiety," Malmström said of the investigation. Canada and Mexico, which are top steel exporters to the United States, have also said they would pursue countermeasures. The Mexican government plans to retaliate with comparable penalties on US products including lamps, pork, fruit, cheese and flat steel. Canada's minister of foreign affairs, Chrystia Freeland, said her country would place tariffs on up to 16 billion Canadian dollars ($12.4 billion) worth of American goods, including steel and aluminum. That's on par with the value of Canadian steel and aluminum exports to the United States. 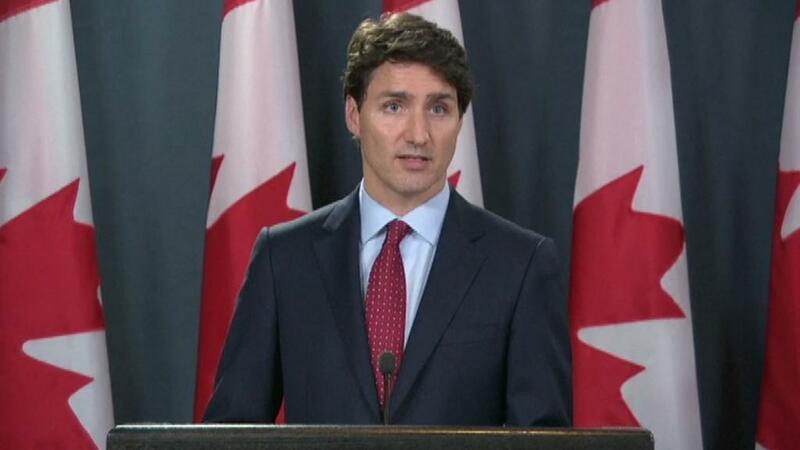 "That Canada could be considered a national security threat to the United States is inconceivable," Canadian Prime Minister Justin Trudeau said Thursday.